(S1505) After seeing a particular heart-wrenching Sarah McLachlan commercial about crack babies, Kyle feels compelled to donate his time to the hospital. But just as he’s about to start his volunteer work, he sees something suspicious: Cartman is also volunteering but for some reason he’s carrying a video camera. Immediately knowing that something is wrong, Kyle follows him to an office building and finds Eric and three other boys doing something on the Internet. But when he confronts him, Cartman says he has a plan to both help the babies born hooked on crack and give them a future. And that future is Crack Baby Basketball. At first he is horrified that they are filling little balls with crack, letting the babies fight over it, and then uploading it to the Internet. But after hearing how much money they are making on the videos, Cartman has a standing reservation at Denny’s for Baconalia every night, Slash is going to start performing at halftime and that EA sports is willing to pay $100,000 for the video game rights, Kyle is persuaded to join the firm. After trying to convince Stan that he is doing the right thing for the babies, Kyle finds himself feeling guilty and wanting to do something to help the babies. But Eric twists his ideas and tries to find out how other companies get away with making money and not paying their talent. And the best way to do that is to go to the University of Colorado at Boulder and find out how to license video games and not pay their slaves…uh, student athletes. While the main story plays out, the side story is just as funny. Clyde and a friend spend most of the episode trying to track down Slash to play for halftime. To their surprise they find that the reason Slash seems to be everywhere is because he may be a mythical Santa-like being. Once again South Park tackles a relevant situation by using something completely absurd. The issue of not paying college athletes while universities make enormous profits off their labor is a controversial issue in the sporting world. 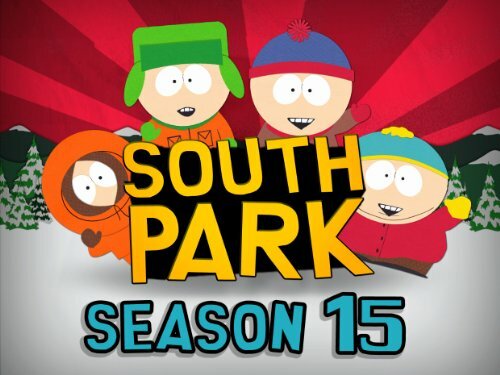 Along with the expected South Park social commentary, you know that everything will turn out all right, Cartman will get what he deserves, and somehow the secondary plot will mesh with the main story in a most unexpected way. Great wrap on this one, Todd. And you nailed it in the sense that it was a solid South Park episode that went about its business according to its nearly patented bizarro formula. This one tailed off for me a bit after the crazy over-the-top crack baby bits at the beginning (which I laughed/cringed through) but overall pretty damned decent South Parkery.